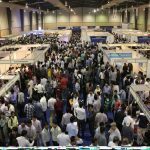 Pakistans first ever Freelancing Convention was held in Lahore, under the sponsorship of Pakistan Information Technology Board(PITB) together with CrossOver, a global technology company. CrossOver conducted a hiring tournament for gaming during this convention. 61 programmers from Punjab and Sindh participated in the gaming competition. More than 500 senior tech talent from across Pakistan registered for the competition. Six participants ended up securing USD 100,000 per annum per candidate. These six individuals are now being considered among the top one percent of the global talent in the world. Crossover Chief Executive Officer Andy Tryba, in a message said that Crossover is planning to run more tournaments in Karachi and Islamabad based on Lahore experiment to hire over 200 senior software architects in Pakistan and bring an additional $20M per year worth of employment to Pakistan economy in 2017. The 500 applicants were shortlisted through highly gamified and competitive process of three rounds for the final interviews. The round finished with a technical interview for on the spot job offer by Crossover. CrossOver is a work from home company. It hired six Chief Architects in Java and Ruby in a single day. The successful candidates of the technical interview have been given full-time remote job offer paying worth $100,000 per year. Crossover also paid a sign up winning bonus of $5,000 to the champion of the tournament. Crossover has successfully tested this concept in Turkey, Russia, Romania, Poland and Ukraine previously. Chief Minister Punjab, Shahbaz Sharif appreciated the efforts of Crossover on conducting this talent hunting activity and hopes that this initiative would contribute to the economy of Pakistan. According to Chairman PITB, Dr. Umar Saif, technology is creating jobs around the globe while incubators, Startups and freelancing co-working spaces are playing a pivotal role in this regard. Pakistan ranks third among largest English speaking countries, a 9th mobile user country, with 60% population comprising of youth in the world and has vast potential to exercise technology in every field.